Operated road sweepers - Book a road sweeper with driver to come and take care of the sweeping operation for you. 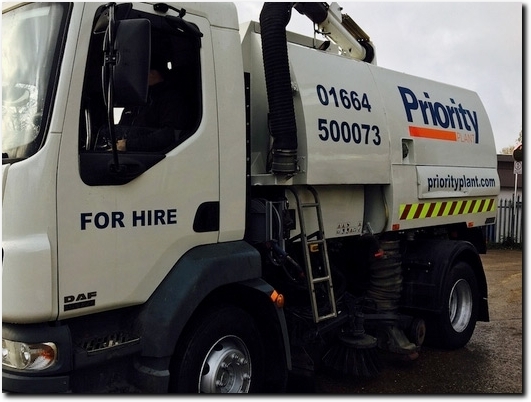 All our sweepers are equipped with jet washed and supawash so we can wash down the site aswell as sweep Anything from quick 1 hour site visits to long term contracts. Ideal for construction sites and industrial areas. UK (Leicester) based business providing road sweeper hire services. Website includes details of services provided, blog, full contact details.